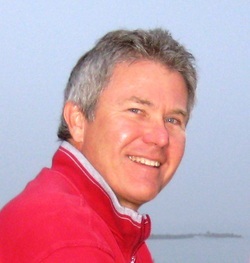 M L Rudolph has worked for CNN and HBO among other American television companies around the world. He has written for general interest and trade publications. He has a bachelors degree in English Literature and an International MBA. Rudolph is a dual US/UK national and lives in Pasadena, CA. 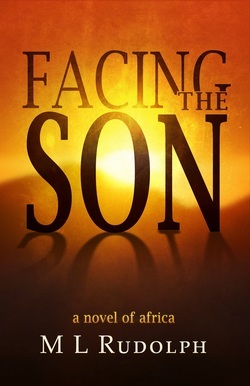 Facing the Son is his first novel. His next two novels are being readied for publication later in 2012. American Matt Reiser travels to The Ivory Coast on a mission to locate his estranged son. His only guide is a three-year old postal address. Fighting cultural vertigo and disorientation at the Abidjan airport, Matt relies on a glib and persistent limo driver who speaks just enough English to gain his trust. The next morning, Matt wakes up drugged, robbed, and dropped into a grim city slum. Without ID, without money, and with no idea where to turn, Matt forges unlikely alliances that take him on a perilous journey out of the city and through the backcountry, where he fights on to continue his search for his son. Along the way, Matt reconsiders the life choices he made that launched him on this search. When he finds his son in an isolated desert village, he must face the consequences of those choices.